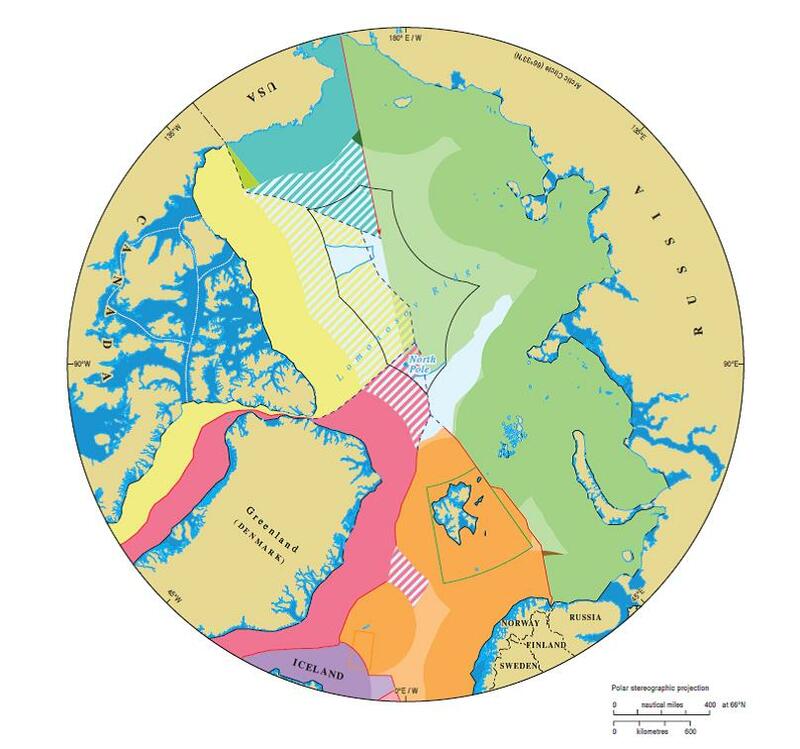 Maritime jurisdiction and boundaries in the Arctic region, IBRU. The Territory subproject (Stuart Elden, Leader) critically examines the extent to which concepts of territory are rooted in simplified assumptions of the planet’s surface that were inherited from particular experiences and institutions in temperate Europe. While commonly understood as a bounded space under the control of a group of people, territory embodies a complex bundle of relations – political, geographical, economic, strategic, legal, and technical. Questions of the materiality of territory – what might be called the question of terrain – remain underexplored. These issues are further complicated when we think of non-solid elements, above and below the earth’s surface, such as water, sub-soil, air, or ice and when we consider these elements’ volume, and the ways in which they are dynamic over both space and time. Thus, while questions concerning ice and the planet’s frozen environments are at the heart of this subproject’s concerns, many of the issues raised apply to other parts of the Earth, and indeed to an adequate political-legal theory of territory more generally. Essentially the key question of this theme is: How can theories of territory better account for the complexities of the geophysical? How have technologies of territory been deployed in a range of regions whose geophysics complicates the presumed land-water surface binary, such as polar regions, oceans, shifting coastlines, rivers, estuaries, swamps, glaciers, unstable islands, and vertical spaces? What is the relationship between the standard land-water division of territorial regimes and the construction of state territory, and to what extent do emergent social systems based on recognition of more complex geophysical systems challenge modern notions of statehood? How could theories of territory and laws applying to them be developed to better account for the complexities of geophysics? How can an expanded understanding of the materiality of terrain – land, water, and the states in between – help to develop a non-determinist geopolitics?